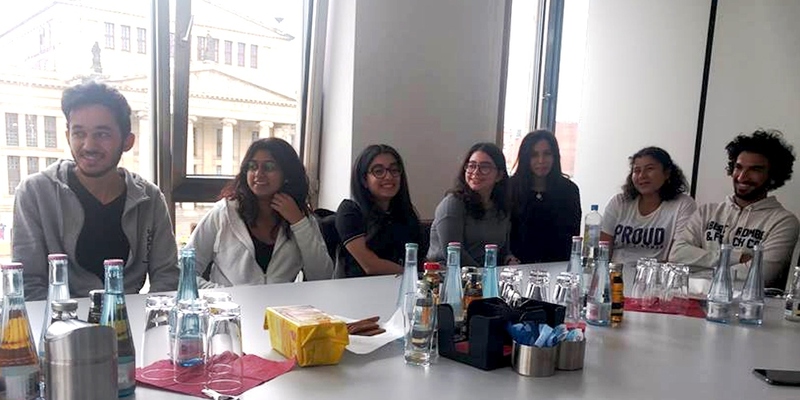 This spring semester 2018, seventeen GUC Law students of the first batch completed their 4th academic semester at the GUC Berlin Campus. 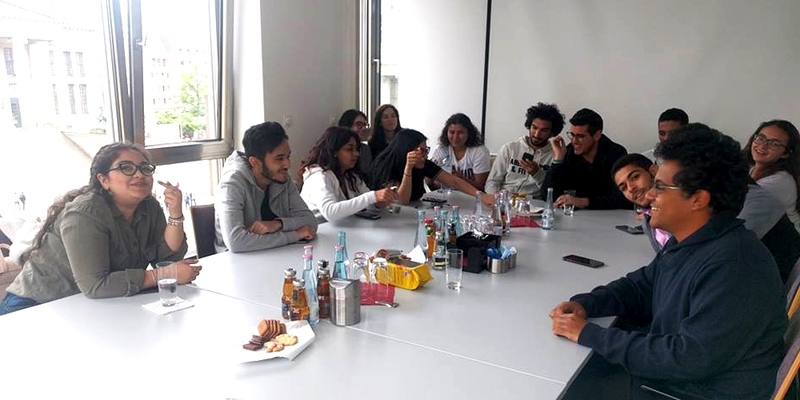 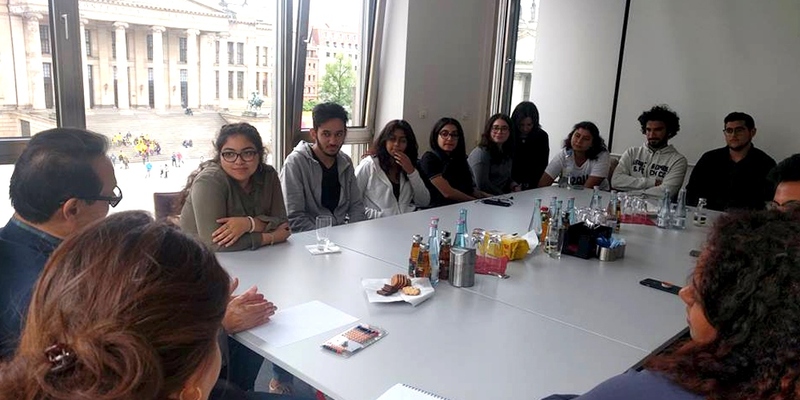 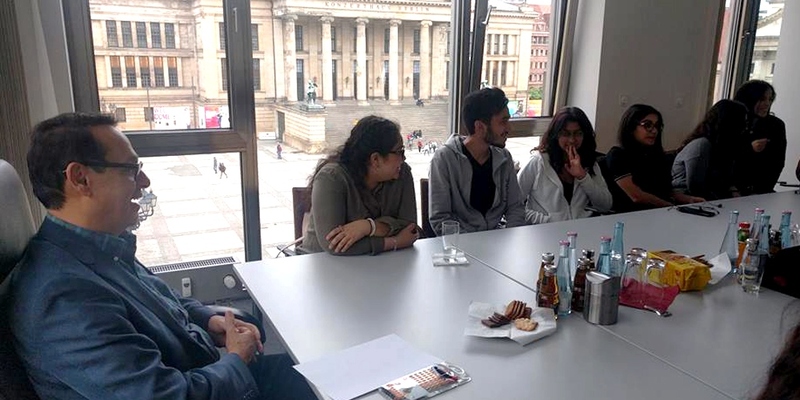 During their stay in Berlin, they had the chance to meet Prof. Dr. Ashraf Mansour, Chairman of the Board of Trustees at the GUC, in a meeting at the science forum, where the GUC has its Berlin Capital office together with Germany's most important science intuitions. 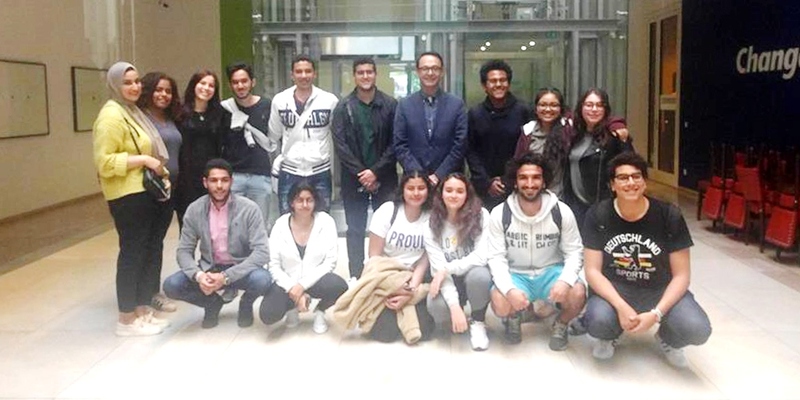 A student Youssef Hammouda (40-5324) is commenting “Our meeting with Prof. Mansour gave us the feeling that our voice is heard and inspired us with a great vision about our future plans. 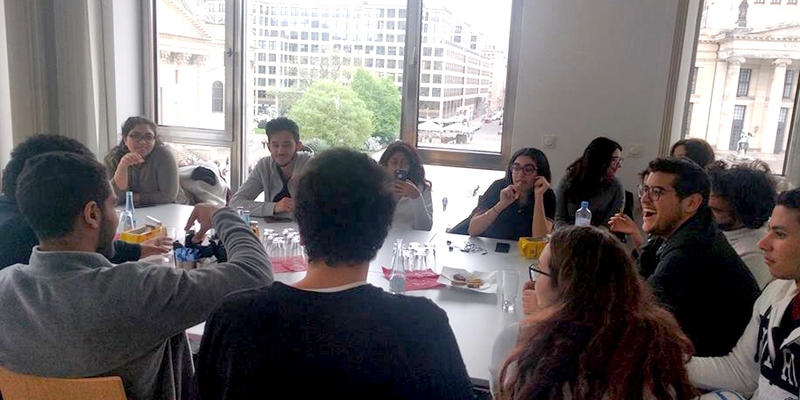 Additionally, the students gave very positive feedback on their professors this semester, they loved their way of teaching, the deepness of the content and the whole semester experience.